Spoil yourself and your family with a wonderful Easter holiday at Lalandia. Get a jump on summer and enjoy a relaxing mini-break where you can recharge your batteries and spend time with the family having fun. At Lalandia in Billund, we always have Easter workshops and other Easter fun on the programme. Keep an eye on the activity programme below. Enjoy the Danish spring from the terrace of your own holiday home, or get warm in our tropical holiday centre and the Aquadome, which is 30 degrees all year round. 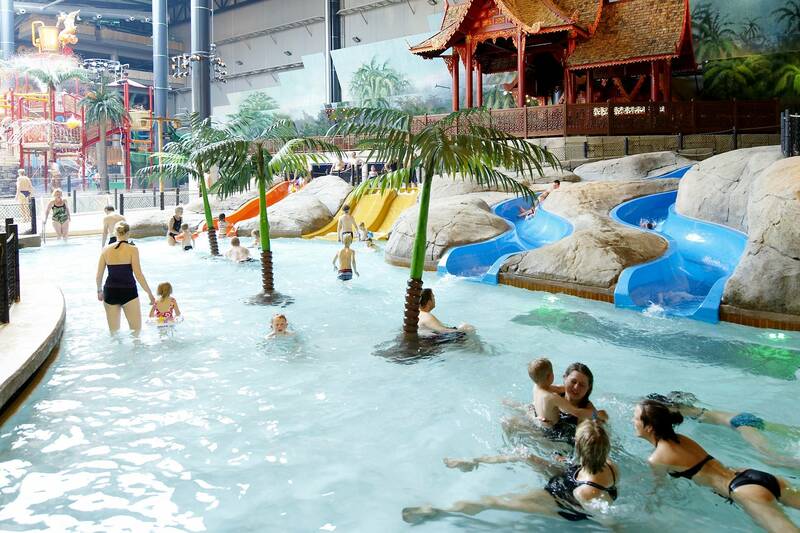 Lalandia has activities and experiences for the whole family, regardless of the weather. Rush through the new speed monster in the Aquadome, check the speedometer and determine which family member is the fastest water fan. When stomachs rumble after an enjoyable day of activities, there are plenty of options to satisfy your hungry.